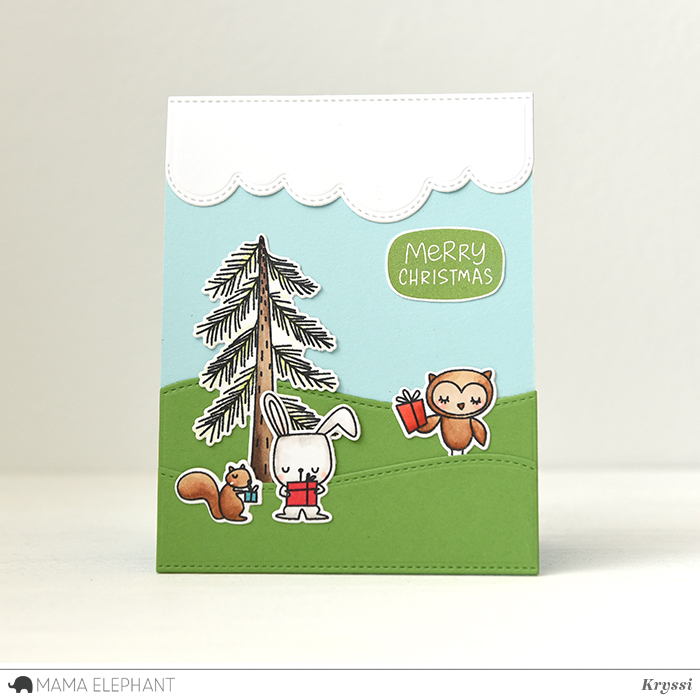 mama elephant | design blog: Mama Elephant October Release Stampede! Mama Elephant October Release Stampede! Here's a 1 minute round up video of the October Release! Enjoy! 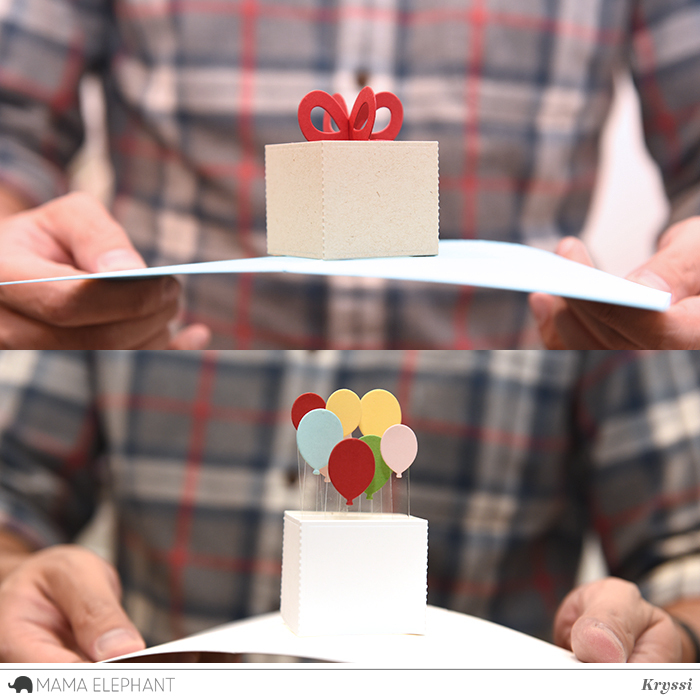 I also want to share two pop-ups I created with the new Inside Pop - Celebrations Creative Cuts dies. I love them so much! Finally, sharing one of the cards from the video using Whimsical Winter and On the Hills! Gorgeous love the new release! Love everything in the new release! I'm already a liker on FB, IG and You Tube. Thanks for all the videos! Adorable! I love making interactive cards!!! This is awesome. So Many Snowman is so very cool! I know what I will be putting on my Christmas cards this year! Thank you! Beautiful!! Love the new products and the pop-ups!! I wasn't able to load the 1-min video as I got an error message. The other videos played without any issues. Once again, another fab release! I just love the new pop-up dies!! Another great release! Well done mama elephant! This was a fabulous release! I love all the adorable stamp sets, thanks so much for all of the beautiful inspiration and the chance to win! What a delightful release! Love the cute pop up boxes... so clever! The stamps are fabulous! Awesome release! I am a ME FB fan! Wow, I love the Inside Pop Celebration die set. Whaaaaaatttttt.... Just take all my moneyyyy! Sooooo cute!!!! Fabulous release and the DT rocked it! Time to make my shopping list. I am your Instagram Follower, too! Excited about this whimsical release! So, so cute! Awesome release! I love everything! Like you on facebook. Absolutely wonderful release. The pop-up card is great. Love the peg board and those stamp sets - so darn adorable! Oh my goodness! I am absolutely in love with those snowmen! So adorable!! love the snowmen and the pop up! What an awesome release!! I LOVE that die!! Great release, love it all! There is a good reason you are my favorite stamp company :) love the release! Oh my, that So Many Snowmen set is really adorable! Love that we don't have to create a kazillion masks! I love the snowmen stamp set! mmmm. now to decide what I have to have first! I love this release! I want everything!! Another amazing release. I love your products, such great designs. Wow!!! Not only are there great stamps in this release, but the pop-up elements for inside the cards are AMAZINGLY FUN!! Love all the new stamps and dies, as always! I can hardly wait! I better take a nap! Wonderful new products! Love the Peaceful Wishes and Inside Pop celebrations! So exciting! Thanks for all you share! So many fun products in this release. I love the "So many snowmen" stamp set. And also the mini tags are great! I'm a Facebook follower and I shared! I am in love with the peace on Earth set!!!!! It's so fun to see the pop-up cards in action — thanks for the videos! What a fabulous release! I love So Many Snowmen and Whimsical Winter!! So fun! Love them. Follow you on IG. Oh so fun, love the pop ups! That pop up card is the bomb! This card pop up is incredible! I love the one with the balloons coming out. It would be such a fun surprise for the recipient! I liked and shared your new release on facebook. I tweeted you about the new release! I follow you on instagram but I don't know how to tweet you there. That pop up card is fantastic! Can't wait to see what other designs you come up with in the future. Fantastic release! Love the pop up! Love, love, love the new releases! The pop ups are amazing! I'm also a really big fan of the snowmen! Such a fun release! The box when you open up the card is a terrific idea! And the little snowmen and the "Peace On Earth" are wonderful. Awesome release! Can't wait to try some out! Another great release. I'm looking forward to the stampede. I love this release! Mama Elephant has the cutest things! I love ❤️ all Mama Elephant stamps and dies! So cute and they are must haves! I’m working on that! Just such cute stuff!! Thank you for creating such cute stuff! I'm a big fun of yours and love the new whimsical Christmas stamp set. The pop-ups are so cute! With each new release I keep wondering how you'll top the last but you just keep the AMAZING products coming! Looking forward to hopping along and soaking up lots of awesome inspiration! I need these tags!!! Awesome release! I love I love this collection. Love the fun box. The tags are great. Just lots of fun stuff!! Oh WOW!!!! I need all the products in this beautiful release! Another fabulous release from ME!! Some very original products. Looking forward to the hop and seeing what the DT has created and I know that I'll be inspired!! This release is SO cute! I need those snowmen! I'm crazy about the inside pop up celebrations! It's so fun! I always look forward to seeing your releases! So Many Snowmen is so much fun (even in boiling hot Australia - maybe you could do a version of them melted into a puddle!)! OMG, this has been a fabulous release. I follow on Instagram--lucky me. 1. Wow! Awesome release!!! Love so much the beautiful pop up dies!!! So many new products to choose from, lovely. Oh my lord! That pop up box is AMAZING! Love, love the pop up box and all the things you could put in it! These cute stamps and dies are ah-mazing!! Such a talented design team! Awesome release!!!! I love the big sentiment stamp!!! Wow these cards are amazinnnggg!! The pop up dies are fantastic! I love all of these new goodies!! The pop-up box is fab!! Great release! I love the pop-up dies. This release is so awesome!! This is another fantastic release! I love that pop up die & how it could be used for any occasion! I love your stamps and your new products are very exciting! Wow! What an amazing release! That new pop-up die is incredible! And I love the Whimsical Winter and So Many Snowmen stamp sets!!! Adorable! Always awesome releases! Great job! love the Inside Pop - Celebrations Creative Cuts !!!! Another great release! I want to get everything! Oh my heavens, I want it all. Your releases are just entirely too cute and I'm seriously in trouble! Lol. Great pop up gift die and I love love love the Peace on Earth and the critters stamp sets! What a wonderful release!!! Love those tags and sentiments!! I LOVE LOVE LOVE the Inside Pop die!!! I love interactive cards & you've made a sensational card that's easy to make. Perfect! Great new release. That snowman stamp is adorable! Absolutely love this new release. another release that totally knocks it out of the park!